Ready to make a lasting, transformational impact? 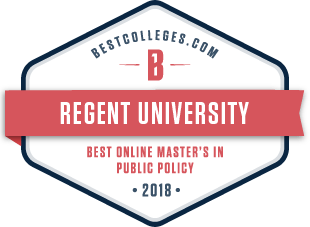 Regent’s online and on-campus Master of Arts in Government—Law & Public Policy expands your knowledge of policy, competitive politics and law so you can become a transformational leader. From America’s historical foundations to the present, you’ll learn the history and inner-workings of government to help your organization shape policy, navigate regulations and initiate change. Expand your knowledge of how policy, competitive politics and law intersect to affect leadership, governance and your organization. Be mentored by renowned scholars and practitioners committed to national service – and to your success. Join our global alumni network of experts who engage communities and influence policy. Develop strategic policies relating to legal issues and regulations affecting various industries. Apply expert knowledge of the U.S. Constitution when creating policies. Provide in-depth analysis on new and existing regulations. Considers the nature of war and peace, including thought and practice from philosophical and religious viewpoints, with particular reference to the Christian tradition (e.g. just war theory) and the formal law of armed conflict. Reviews advanced economic topics and analyze economic and international trade policies in light of global trade issues. In addition to conducting cost/benefit analysis of economic policies, examine and present alternative solutions to trade and finance problems. Common law of contracts, and the principles controlling the formation, performance and termination of contracts (offer, acceptance, consideration, conditions, material breach, damages, third party beneficiaries, assignment, statute of frauds and statutory variances from the common law). Cross-listed with MLAW 521 and EHEA 506. Examines the history of the Constitution, the structure, power and limitations of each of the 3 branches of the federal government, the power and rights of the states, and the authority of local governments (counties and cities). Cross-listed with LAW 819 and MLAW 619. Considers the Bill of Rights (including the delicate relationship between church & state, freedom of speech and freedom of worship), the rights of liberty, equal protection and due process arising from the 14th Amendment, and the subsequent rise and effects of judicial policy-making (including the “right to privacy,” the “right to intimate sexual choice,” and the “right to die”). Cross-listed with EHEA 508, LAW 820, and MLAW 620. Covers the basic aspects of religion and politics as reflected in scholarship and period sermons. There are also strong connections with scriptural principles relevant to the topic. Provides historical and contemporary legal issues that have, and will continue to shape colleges and universities today. Discusses legal issues regarding the college and trustees, administrators and staff. Investigates the legal basis of higher education in the United States to include constitutional provisions and federal statutes that influence higher education policy. Prepares emergent administrators for preventative law measures in an increasing litigious environment. Cross-listed with EHEA 503 and 803. Concepts and methodologies; the institution of the presidency including role of elections, ideology and party politics; methods for measuring success of presidential initiatives; executive power and relationship to legislative and judicial branches; relations with the media, with NGO’s, lobbies and international actors and organizations. Methodologies and concepts for the study of legislative politics; historical and contemporary legislative policymaking process, as well as relations with the executive and judicial branches, the role of lobbies and special interests and contemporary issues including polarization, the drawing of congressional districts and the role of ideology in Congress. Exegetical course in the laws of the Bible, using the Decalogue as its own principle of organization. Develops the meaning of the laws in context and their appropriate applications, with emphasis on the nature of their applicability to policy issues such as pluralism, penology, lawful oaths, blue laws, church and state jurisdiction, gender roles, marriage, capital punishment and other topics. Cross-listed with LAW 811. Addresses the questions of the universality of human rights, including the right of life, the right to death, rights of the child, women’s rights, religious freedoms, the rights of third-world countries and the export of Western values to Eastern societies. Prerequisite: LAW 511. Cross-listed with LAW 883. Discussion of balancing the government’s responsibility to defend the body politic and its parallel duty to safeguard the rights of individuals. Exploration of the tensions of achieving security and freedom from Lincoln’s suspension of habeas corpus to Bush’s detention of terrorist combatants. Law Student prerequisites: LAW 511 and completion of two semesters of law school. Cross-listed with LAW 672.
International and regional laws regarding the right to expression and protection of religious belief. Defenses to protect religious freedom, mechanisms for advocacy and intervention, and the impact that non-governmental organizations can have in protecting religious freedom. Law Student Prerequisite: LAW 511 and completion of two semesters of law school. Cross-listed with LAW 714. Focuses on the administrative and organizational concepts involved in managing complex health care organizations. Gives an understanding of the structure and function of operations within the health care system. Historical development of US foreign policy principles; actors involved in creation of foreign policy, role of interest groups and special interests; economic aspects of US foreign policy and the role of ideology and religion; considers America’s role in the world today. Refining a thesis through wide reading, developing a thesis, database searching, building a bibliography, writing a literature review and preparing a formal thesis proposal. Prerequisite: Permission of Instructor. Developing the thesis proposal from GOV 698 into an extended, well-written document incorporating critical analysis and synthesis and involving original work. Prerequisite: Permission of Instructor. Note: The deadline for international applicants applying to attend on campus is March 15. 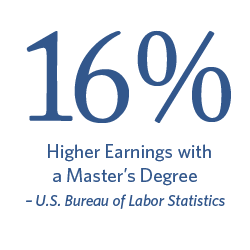 Applicants for the Master of Arts in Government must possess an earned undergraduate degree from a regionally accredited institution or an equivalent degree from a foreign university.